This close fitting cardigan features a flattering vertical stripes waist band, an off-shoulder neckline, and crocheted button loops. Don't be scared off by the small finished measurements! 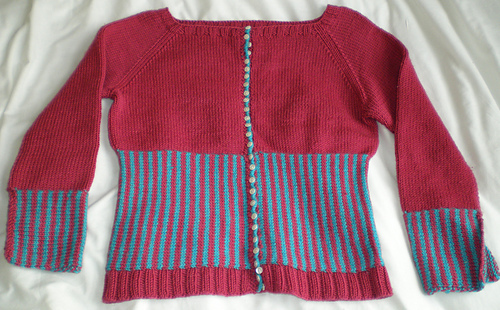 The finished sweater is designed to stretch. I've included a few tips within the pattern to help you get the perfect fit.